Yamamoto's USB phone may be the gentle nudge towards VoIP you need. 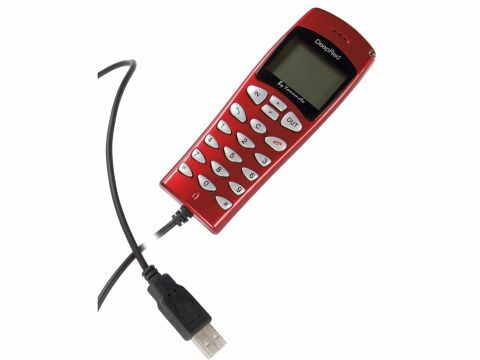 Freeing you from the shackles of those desktop mics and headsets, the 1025 is a light, comfortable phone which appears on your system as a separate sound device - easy to set up in Skype, MSN or AIM. While there is a driver, which allows control of Skype from the phone itself, limited space on the display means you're likely to spend your time looking at your monitor anyway and the sound quality isn't up to the standard of other VoIP phones we've seen. Stick to a headset for now.